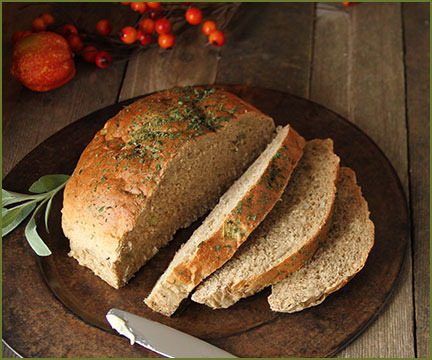 The fresh and savory flavors of home-made stuffing in every slice of fresh hot bread! You'll fall in love with this creation and be sure to try it with your left-over turkey for the best turkey sandwich you'll ever taste - it's LEFTOVER HEAVEN! We know you're going to love this bread, so for trying it we want to give you a FREE 6-PACK of ROLLS! CLICK HERE TO GET YOUR FREE ROLLS COUPON!